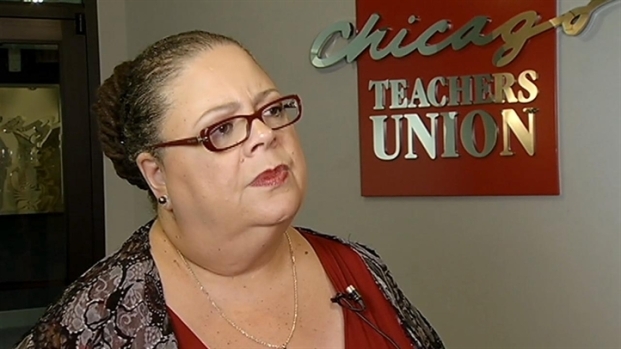 Chicago Teacher's Union President Karen Lewis has met with election attorneys and is expected to make a final decision in August about whether she will challenge Rahm Emanuel for Mayor. A source close to Lewis said she's seriously considering a run. The Chicago mayoral election takes place February 2015. “Definitely, the talk of Lewis running is ramping up to a new rate of speed,” a political operative involved in past mayoral elections said. The Chicago Teacher's Union president talked with Mary Ann Ahern on the one year anniversary of the Chicago Teacher's Strike and said that Mayor Emanuel has been reaching out to get their relationship back on track. They haven't spoken in two years. Chicago Public Schools' announcement Thursday of more than 1,000 layoffs, including 550 teachers, catches CTU off guard. The union said there has been 5,000 layoffs since Mayor Rahm Emanuel took office. Lewis has said she would support Cook County Board President Toni Preckwinkle, but Preckwinkle repeatedly has said she’s running for her current office. Lewis has not been shy about supporting anyone who would challenge Emanuel. The two have famously tangled even before the teachers strike September 2012. The CTU is working with other unions to register as many as 100,000 voters and raise at least $2 million for a candidate to oppose Emanuel. Lewis underwent weight reduction surgery in Mexico in March. She has told reporters “it has been a highly positive experience for me.” Lewis was out of town Thursday and had not returned calls for comment as of press time.